We repair all types of servo motors such as "yaskawa", "moog". "indramat", "bosch" , "siemens" , "baldor" , "allen bradely", "fanuc" , "mitsubishi". Our repairing and rewinding services are executed under the perfect guidance of our electrical and mechanical engineers. We have specially appointed highly experienced and factory trained professionals in our company to render these Servo Motors Rewinding Services in accordance with industry standards. 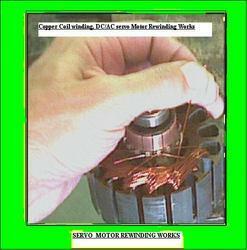 We are reckoned for providing quality Servo Motors Rewinding Services for the clients. Backed by a tireless workforce and in-house facilities, we effectively cater to all kinds of rewinding requirements detailed down by the clients. Furthermore, our skilled professionals make sure that this motor rewinding is done in compliance with the set industry standards. Servo motor rewinding and service . 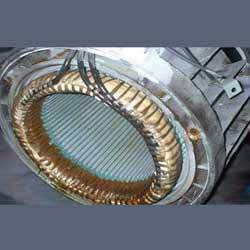 Servo Motor Rewinding Service offered involves services handled by experts who have with them extensive experience in the field of motor rewinding so as to ensure their delivering flawless running performance.